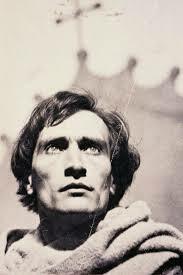 The theatre practitioner Antonin Artaud (1896-1948) had the idea that an artist should be ‘alive within the score’. For this, they had to submit to their necessity’, ‘be in harmony with their necessity’, and be like someone ‘burning at the stake, signalling through the flames’. By being aware of our mortality, doing what we do as though it could be our last breath, we achieve an intensity of purpose both in rehearsal and performance. It was this that Étienne Decroux (1898-1991), the teacher of Marcel Marceau, and a Marxist atheist, called the moment of having ‘God within you’. The word ‘enthusiasm’ reflects this – it is drawn from the Greek en theos, meaning ‘with God’. Enthusiasm is a necessary pursuit and should not be denigrated into meaning something lesser. Enthusiasm is the search for essence, that moment of ‘flow’, but also of intensity and work that is essential for high achievement. This is the idea of mastery: discipline, focus, work, beauty even in ugliness, truth, and the pursuit of in-depth knowledge. This is, perhaps, what Plato thought of as ‘being awake’. Gifted and Talented is a problematic phrase in so many ways but especially because it implies no effort is needed, it has an air of ‘I’m so gifted and talented I really don’t need to try,’ it has an arrogance at its core. En Theos has a relationship at its core, here one is at ‘one with the work, the task, the discipline and the art’. It is this that makes the term rise above all other attempts at trying to mark out distinction. In schools we can use the following terms: ‘She is a maths enthusiast’; ‘His enthusiasms are in modern and ancient languages’; We celebrate our pupils enthusiasms through our ‘En Theos’ programme; ‘She is able to enthuse her fellow pupils through her captaining of the football team’; We have noticed how enthusiastic he is in ‘food technology’ and we hope to be able to give him an opportunity to test his enthusiasm through regular work experience at a local restaurant’. So ditch gifted and talented and embrace enthusiasms instead. Please do this, or something like this. That ‘Gifted and Talented’ phrase comes from a well intended but misguided place. They stuck the G&T label on me at school. The extra seminars/events I got to go to were nice… but only now am I realising how much I could have done for myself, if only I’d not learnt to consider myself incapable of doing my own thing. See, when a straight A student is praised so much but inside it feels like I’m not learning anything really… it’s confusing and I turned it on myself; there must be something wrong with me for thinking this isn’t real. Clearly I can’t trust myself. I’ll keep doing work that’s set and all the other things the adult offer and praise me for doing. There’ll be sense in this. I’ll see it in the end. Loving this. I will be using the term ‘subject enthusiast’ (it has a catchy ring to it) from now on! Now, if there’s no such thing as G&T, is there also no such thing as ‘low ability’? Instead of low ability, or my preferred term, low achiever, should we use ‘subject nonfan’?